It was the war to end all wars. And yet in four short, yet incredibly long years, over 16,560,000 would die and another 21,200,000 would be wounded. Men and boys, from towns and villages in France, Britain, Germany and America fought for their freedoms. 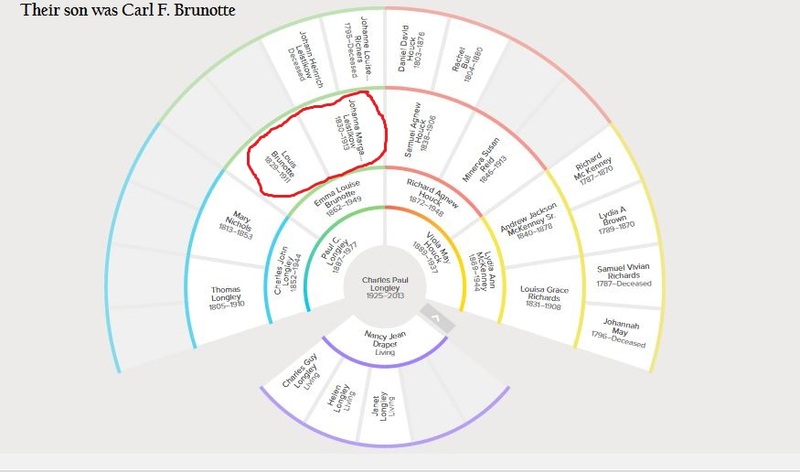 Carl Frederick Brunotte was one of them. “A century ago, an assassin, a Serbian nationalist, killed the heir to the throne of Austria-Hungary as he visited Sarajevo. This act was the catalyst for a massive conflict that lasted four years. 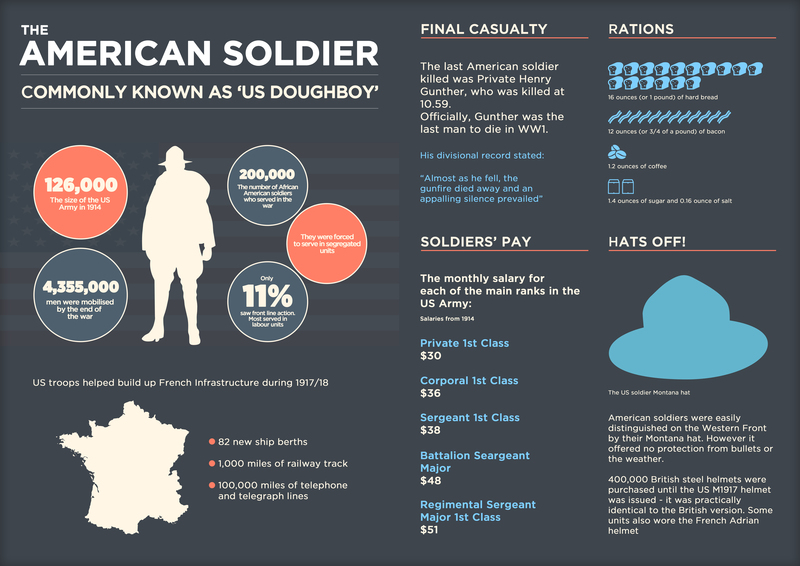 More than 65 million soldiers were mobilized by more than 30 nations, with battles taking place around the world. Industrialization brought modern weapons, machinery, and tactics to warfare, vastly increasing the killing power of armies. Battlefield conditions were horrific, typified by the chaotic, cratered hellscape of the Western Front, where soldiers in muddy trenches faced bullets, bombs, gas, bayonet charges, and more.” Alan Taylor, artist. Born in California to German parents, Carl grew up in the warm climate of Southern California. He had at least 6 brothers and sisters, he being one of the youngest. 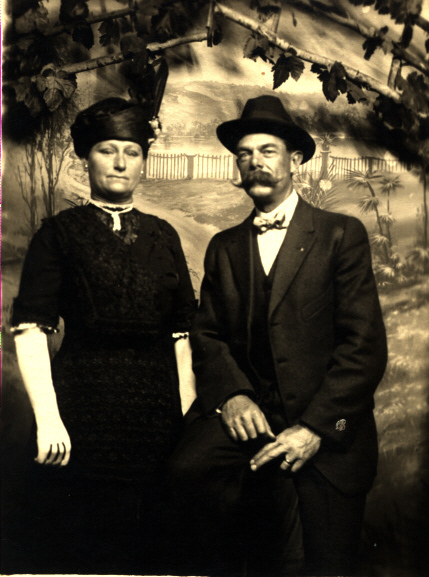 Carl grew up and later met Ida Jane Stotts. He was 30, and she was 25 years old. Records indicate they had no children. Mill Valley Lodge Veterans Members of Mill Valley Lodge No. 356, F & AM have not failed to answer our country’s call to arms in times of need. All members of Mill Valley Lodge No. 356 are proud of the service that these brothers rendered on behalf of our nation. These Honor Rolls are offered to the community so that our neighbors in Mill Valley and our greater world community can also learn and remember what the members of Mill Valley Lodge No. 356 will not forget. Honor Roll of Brethren who Served in World War I September 22, A.L. 5919 (1919) at a Special Meeting, the Lodge was opened on the Third Degree of Masonry for the purpose of dedicating a bronze tablet to the members of this Lodge who served their country in the Army or Navy during the war of 1917-1918. 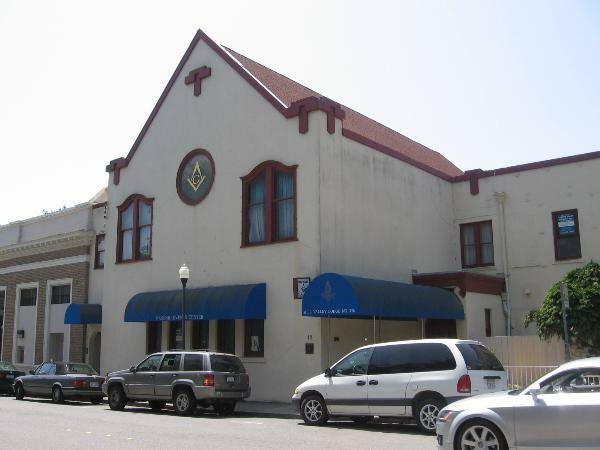 Masonic Lodge number 356 in downtown Mill Valley. The Secretary read the names of the forty-two members who had lately been in the Country’s service during the World War as follows: Bro…. Robert William BarrDorrence Beck Robert Belshaw Grover Cleveland Boyd Carl F. Brunotte Frederick Alexander Burden James Andrew Carlile Franklyn Broughton Conroy Matthew Demmer John Franklin Ellis Adolph Gustof Falk Richard Marion Finn George Newton Folker, Jr. Herbert Penn Folker Henry Guth Homer Byron Hyde Robert Jacob, Jr. Harold Sidney Johnson Olin Ransellar Kelsey Melvin Harvey Klyce Julius Kover Lee Lawrence Lane Ralph Lee Lockwood Ivar Wilhelm Lundqvist George Robert Mantlo Ross Reed McLeod Charles John McQuillan Lester Theodore Olmstead Roy E. Patterson Nathan Podhoretz Fred. Alfred Roemer John Nelson Ross James George Saxton, Jr. Albert Victor Shaw Zenas Abner Sherwin Francis Joseph Sommer Oscar Park Stowe Clarence Wilber Thomas Lon Mack Turpin Lionel Wachs Jesse Warren WagnerRoy Culver Ward By order of the Worshipful Master, F.A. Burden, the Flag of our Country was escorted to the East with appropriate ceremonies, them members present singing the Star Spangled Banner. The Service Flag was then retired by Past Master Harvey A. Klyce. Bro. A.J. Treat 33° then delivered the dedication oration, which was followed by instrumental and vocal selections. He is also listed as a Sergeant in the US Army between 1917-1918. He was 48 years old. Truth: The search for answers to the universal questions of morality and the salvation of the soul that only a man’s individual faith and his relationship with God can provide. Some Freemasons are Christian, some are Jewish, because it is not actually an organized religion, but more of a fraternity. There are no clergy, rather every man is their own thinker. Masonry initially began as a guild for stone masons who built the castles and cathedrals of Medieval Europe. In WWI, Carl fought in a war that is still remembered 100 years later. Although we do not have exact record of his duties, it must have been challenging to leave his wife, and serve for a country who was fighting against his parent’s homeland. On top of the emotional trauma of war, many German-Americans faced heavy Anti-German sentiment back home. “Any German-Americans thought to have shown support or sympathy for Germany ran the risk of being named in newspapers as disloyal and, at times, risked physical harm.” (WWI Anti-German Sentiment). 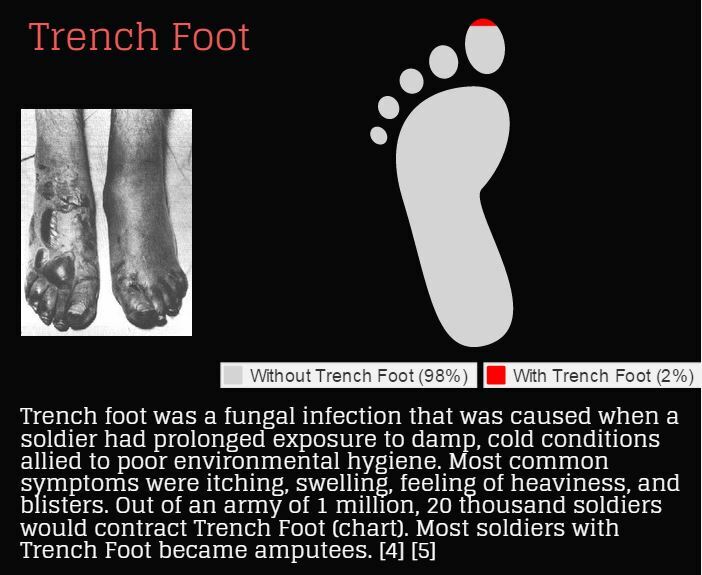 Many Americans know a lot about WWII because it is constantly glamorized on TV and in books and movies, but don’t know as much about WWI. 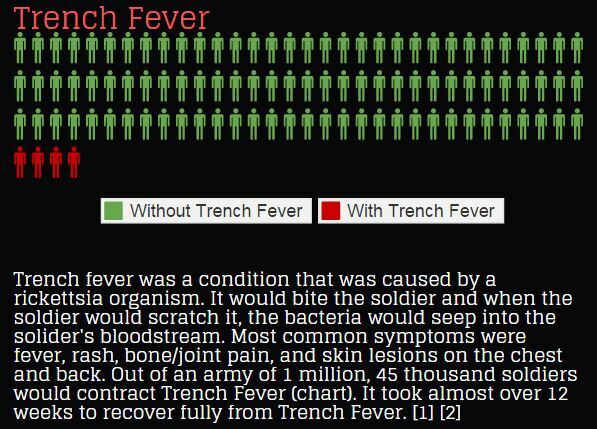 It was a gruesome war was death, disease and trauma on all sides. 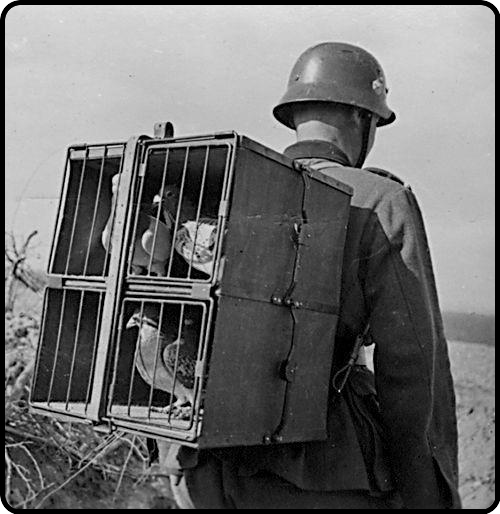 Communications before computers – WWI carrying pigeons were used to carry messages during WWI. People would tie messages to the feet of pigeons. One time a pigeon saved over 200 men because of a delivered message. Although there were many casualties in the war, Carl was not one of them. He returned home and lived to be 68 years old. He passed away 06, April 1939. His wife Ida passed away in San Francisco four years before him on January 22, 1935. 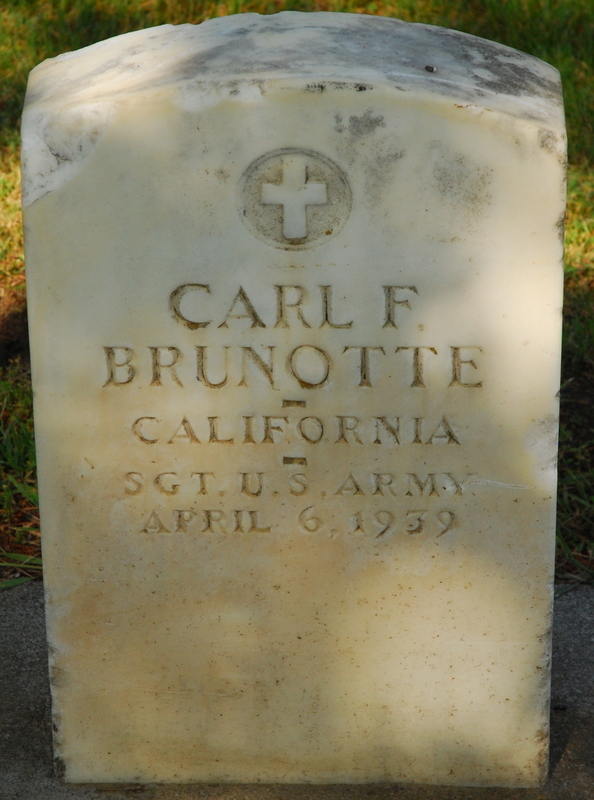 They are both buried in the Woodland Cemetery in California. I am so grateful for his life and service to our country. Who says history is boring? Not when you’re in my family. This is a story about my great-great-great grandpa. Andrew Jackson McKenney Sr. (Image courtesy of Donald Earl McKenney Jr). 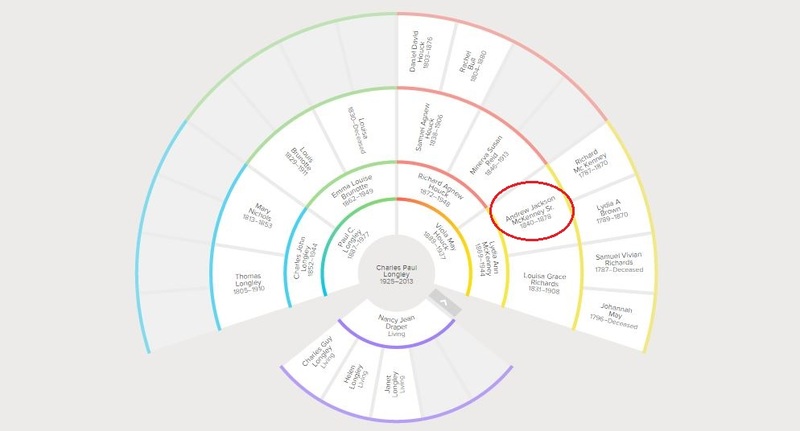 See how you’re related! Click to enlarge. He name was Andrew Jackson McKenney Sr. He was born in the spring of 1840, in Stetson Maine. Why Maine? That’s because it’s where his ancestors settled. John McKenney’s great-ancestor was actually a Scottish soldier in the Scottish revolutionary war. Apparently, he was part of an army that tried to “place their own Prince Charles on the throne of Great Britain as the rightful heir of the Stuart monarchy. They were defeated by the military dictator, Oliver Cromwell, and the English forces at the battle of Dunbar and Worchester. (Donald Earl McKenney Jr). Unfortunately his ancestor and many other Scots were captured as prisoners of war and exiled to Boston where they served a year-year indenture. After seven years John McKenney moved his family to Maine where his family could establish roots. Legend has it that that Andrew Jackson McKenney was also born with a rebellious spirit because when the civil war broke out, he decided leave Maine as a stow away on a ship. 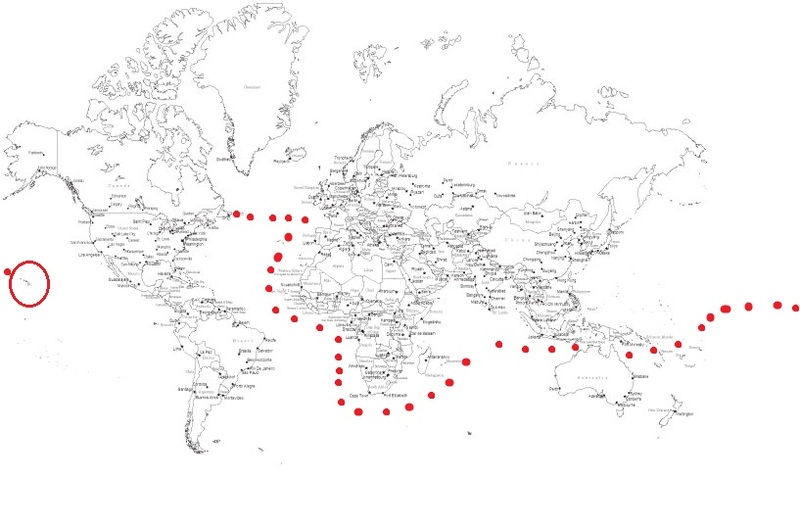 The ship sailed around Cape horn to the Sandwich Islands, aka Hawaii. 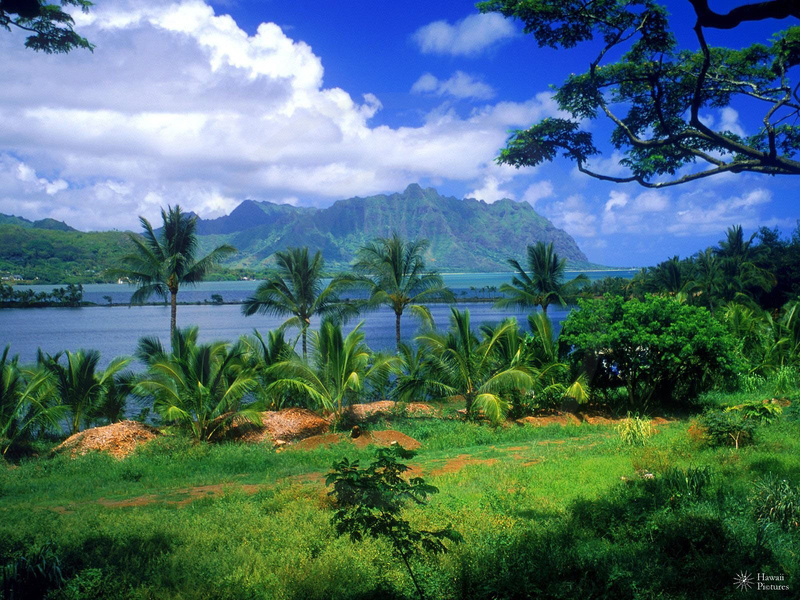 Once in Hawaii he made friends and worked for the Rowan family on a sugar plantation near Kaneohe, Oahu. Mr. Rowan died a few years later. 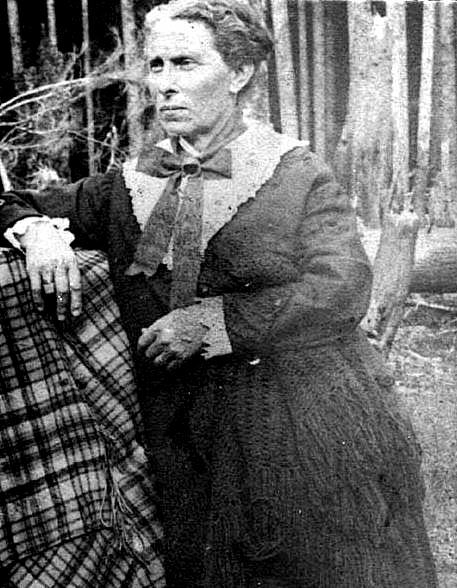 Within a year of his death, Andrew McKenney married the widowed Mrs. Rowan, (Louisa Grace Richards). Andrew was 21 years old, and Louisa was 30 when they were married. Louisa was originally born and raised in Cornwall England, but decided to live in Hawaii after finishing a world cruise with relatives and her sister. Before settling in Hawaii, they also spent some time living and working in Australia before coming to Hawaii. Louisa Grace Richards. (Image courtesy of Don Earl McKenney Jr). Kaneohe, Hi. What their land might have looked like. 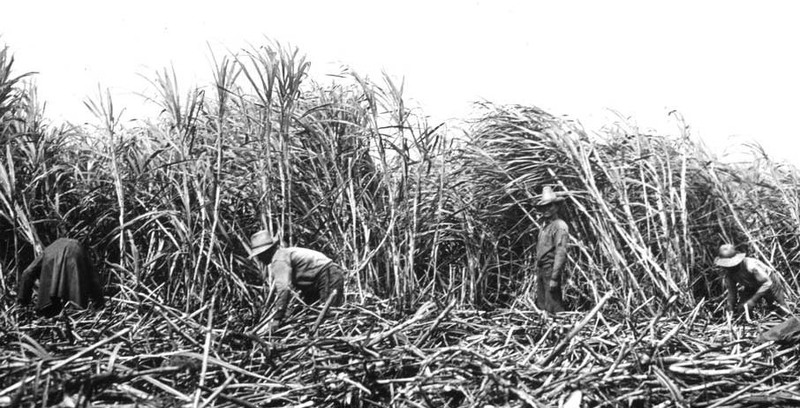 Together they worked on the six acre sugar plantation. 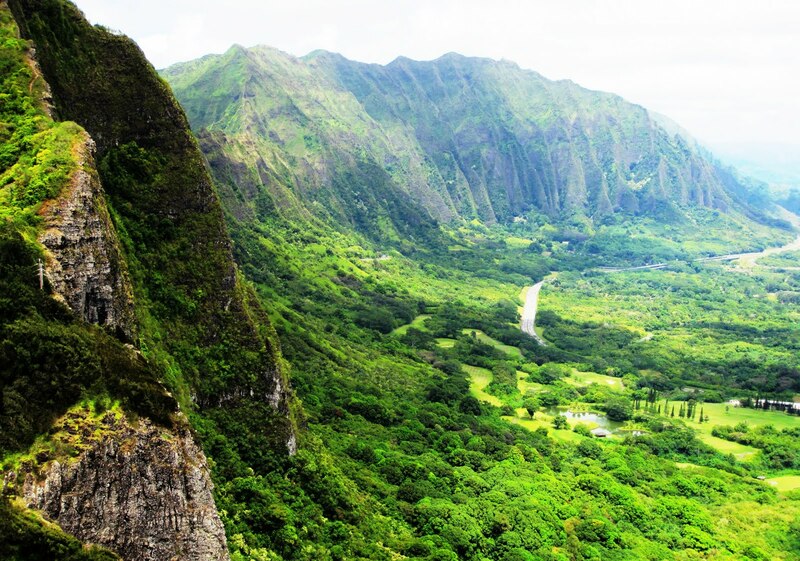 Allegedly their plantation was on the western fringe of Kaneohe, with the Puu Keahiakahoe mountains overlooking their land. Interestingly, Andrew Jackson become friends with King Kamehameha V and was appointed his advisor and a uniformed member of the Palace Guard (Donald McKenney Jr). 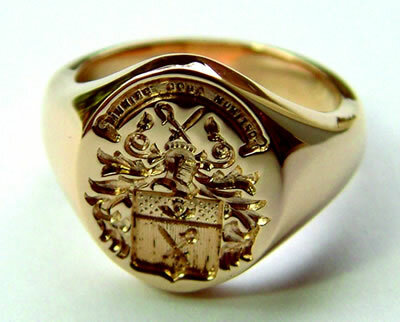 Allegedly his official sealing ring still exists and is owned by one of his decedents. Example of a sealing ring which was a ring with a seal for impressing sealing wax. It was used often by important people to authenticate their documents. 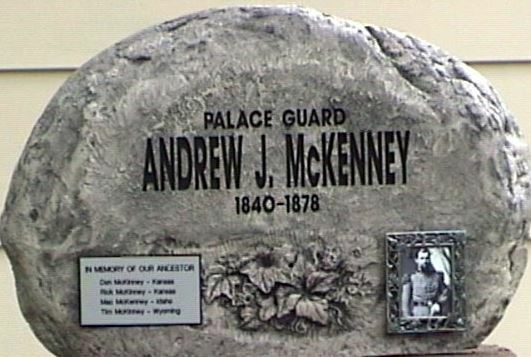 A few years later, Andrew McKenney suddenly passed away at the age of 38 on September 20, 1878. 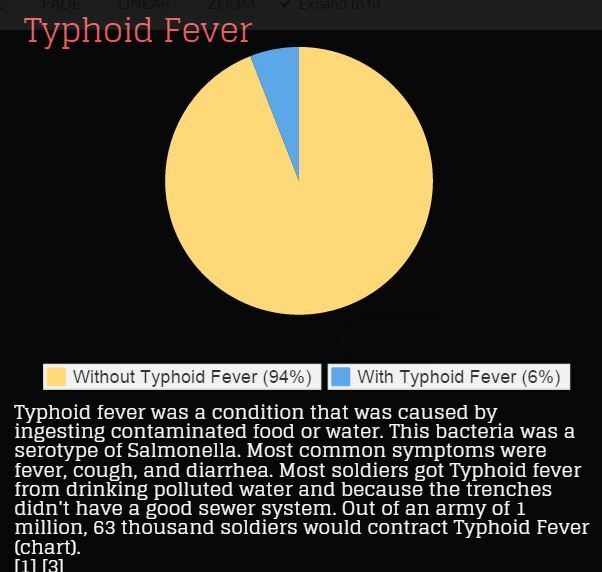 Although the cause of death was listed as “brain disease” it is uncertain. Family stories say that “he went blind and lost his hair shortly before death (Donald Earl McKenney Jr). Final resting place of Andrew Jackson McKenney. He was buried on the sugar plantation property, which is now on undeveloped state land. (Image courtesy of Don McKenney). The location of the burial site is just west of the dead end of Kulukeoe Street (a residential area.) To the west of the burial site is the state mental hospital . Don McKenney made a grave marker for Andrew McKenney. It is now mounted on the boulder that marks his burial place . Because Andrew had passed away, Louisa was left alone with four kids to raise. (The three boys from her previous marriage were grown and out of the house.) The younger boys Andrew and Edward were sent to live in Utah with a half-brother named Charles Rowan. 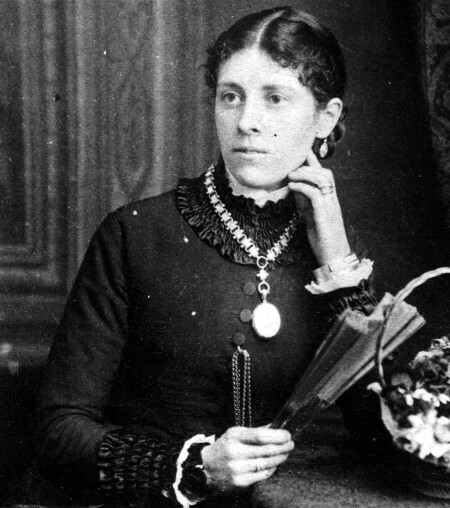 Louisa married her third husband Robert Brown but quickly divorced him in 1881. 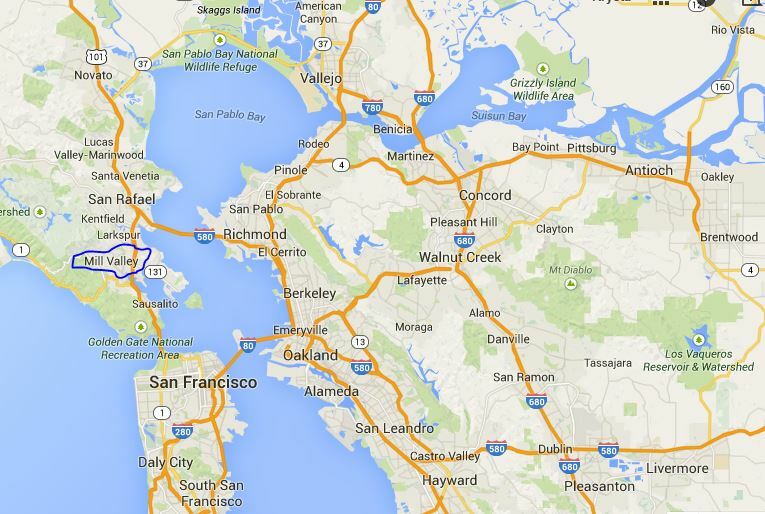 She then took her daughters and sailed to San Francisco. The oldest Rowan sons, remained in Hawaii. George married a Hawaiian woman and raised his family. William Rowan died around 1887. Louisa came back to Hawaii after Andrew had passed away to visit. She is on the old McKenney place, most likely close to Andrew’s burial site. This is the last time she visited this place before returning to the states. 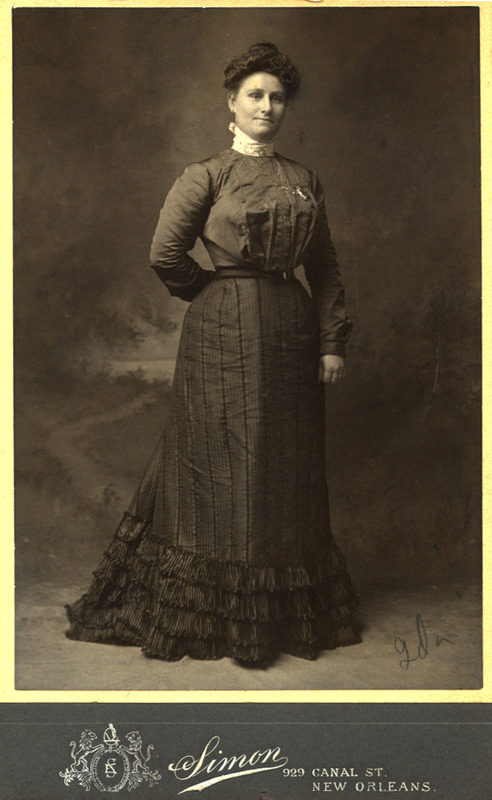 After a trip back to Hawaii during the late 1800s, Louisa and her two daughters returned to California and settled in the Oakland, California area. Although she spent the remainder of her life in the States, (until 1908) I can only imagine that part of Hawaii always remained with her. Or, as they sing in a popular Hawaiian song, Aloha Oe.